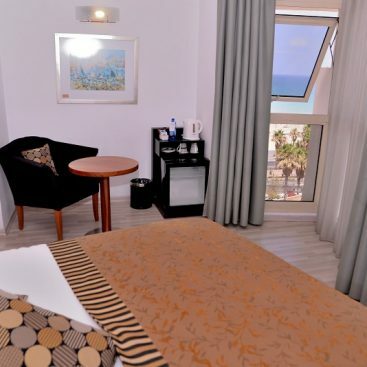 Maxim Hotel Tel Aviv offers nice, renovated and high quality accommodation. 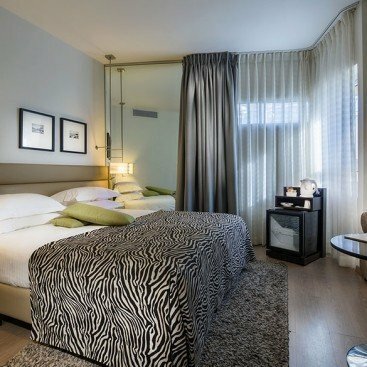 Set along the bustling promenade in the heart of the city center and overlooking the glorious Mediterranean Sea the Maxim Hotel Tel Aviv is the perfect choice for both business and leisure travelers. 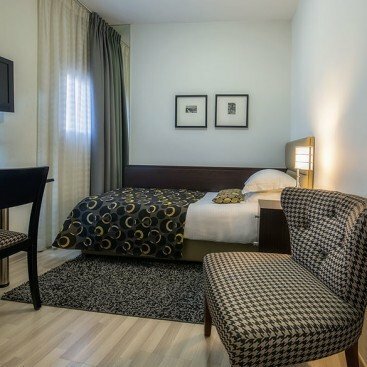 Maxim Tel Aviv Hotel is a solid family hotel that has built its reputation on class and comfort. 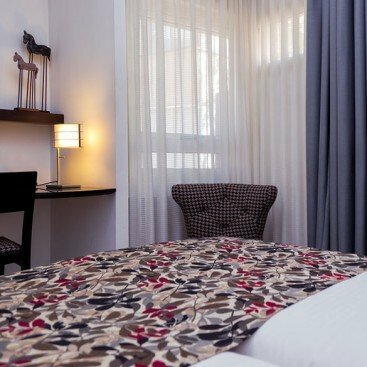 All 71 guest rooms are elegantly furnished in modern design and they are equipped with air-conditioner, free WiFi, tea & coffee making facilities and a fridge to name a few. Limited underground parking (cannot be guaranteed) is complimentary for our guests. At Maxim Hotel we take great pride in our personalized service and our staff is highly trained to provide guests with professional service – all done with a smile. *Please be informed that rooftop terrace cannot be accessed by wheelchair for technical reasons.